tvline.com: Everywhere you look, everywhere you go, there’s a… classic TV series being reborn. And TVLine can exclusively confirm that the revival craze has extended to the Tanners of San Francisco. 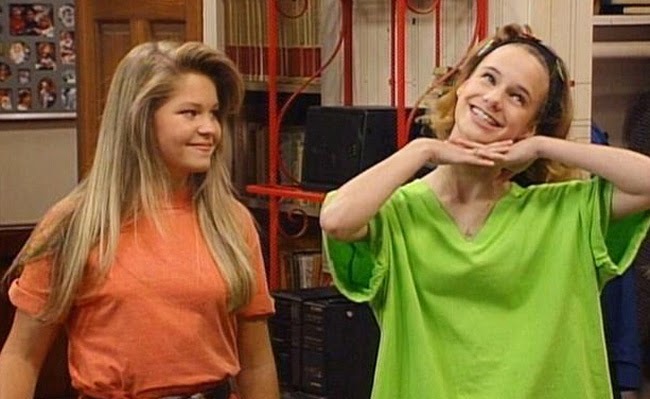 According to sources, Netflix is thisclose to ordering Fuller House, a 13-episode multi-cam continuation of Full House to star Candace Cameron Bure as D.J. and Andrea Barber as her BFF Kimmy. Fellow Full House vets John Stamos, Bob Saget and Dave Coulier are being eyed to make guest appearances, with Stamos having a producer role, as well. The project is being shepherded by the original show’s creator, Jeff Franklin, who will exec-produce alongside Thomas L. Miller and Robert L. Boyett (both of whom also EP’d the original).